Ask any herbalist what's good for the heart and you'll probably get a one-word answer: hawthorn. For instance � noted herbalist Christopher Hobbs writes that he has a special affection for hawthorn because it helped his father strengthen his heart after a heart attack more than two decades ago. Hobbs writes: "The extract of hawthorn can increase blood flow to the heart muscle itself, helping to counteract one of the most common modern causes of death in industrial countries � heart attack due to lack of blood flow to the heart." A team of German and US researchers recently tested a hawthorn extract in a trial that included more than 1,440 patients with congestive heart failure. Writing in the European Journal of Heart Failure, the researchers note that hawthorn preparations have been used for centuries in Europe, but their use as a complementary treatment, as an "add-on" with drug treatment, has never been studied. Subjects received either 900 mg of hawthorn per day, or a placebo, for two years. Researchers found that the average time to first cardiac event was statistically the same: an average of 620 days for hawthorn, against 606 days for placebo. There was also no statistical difference in mortality rates between the two groups. But one measure stood out. The researchers write that hawthorn extract "can potentially reduce the incidence of sudden cardiac death, at least in patients with less compromised left ventricular function." The left ventricle is the lower chamber of the heart that pumps blood to the rest of the body. This function is typically impaired in heart failure patients. In a previous study, more than 200 patients with chronic congestive heart failure (CHF) were divided into three groups to receive either 900 mg or 1,800 mg of hawthorn extract daily, or placebo. That study was very likely included in a 2008 meta-analysis of 14 clinical trials in which hawthorn was tested on hundreds of patients. Researchers found that adding hawthorn as a complementary treatment along with conventional CHF treatments, significantly improved exercise tolerance, maximal workload, fatigue, and pressure-heart rate product (an index of cardiac oxygen consumption). Adverse side effects were described as "infrequent, mild, and transient." Talk to your doctor before adding hawthorn to your daily regimen. CHF patients might want to take the homepathic form which works faster at a potency of 200 daily. Crataegus, commonly called hawthorn, is a well-known herb in traditional Chinese medicine and is an herb remedy in cultures throughout much of the world where there is a temperate climate supporting growth of the trees, especially in Europe. 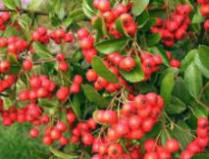 The species used in China, Crataegus pinnatifida, differs from that which is relied upon as a source of the Western herb, obtained mainly from Crataegus monogyna and Crataegus oxycantha. Western herbalists primarily use hawthorn for treatment of heart disease; this application has been adopted by Chinese herbalists as well. In ancient times, the Chinese herbalists mainly used crataegus (shanzha) to improve digestion; for the past thirty years, Western applications of crataegus have been verified by Chinese researchers and added to its list of applications in Chinese medicine. Numerous Chinese formulations now incorporate the herb for strengthening heart function, lowering blood lipids, and dilating blood vessels to promote blood circulation.